drift fishing,wade fishing with artificials. 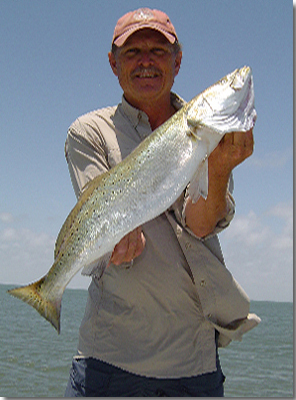 Captain John fishes San Antonio Bay, Matagorda Bay, Espiritu Santo Bay, and the Matagorda Island surf. 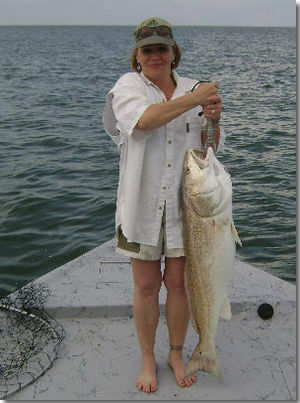 Enjoy wade or drift fishing in the shallow waters of Matagorda and San Antonio Bays with your choice of artificial or live bait. "A successful fishing trip is my goal!" "5 " Big Red Fish. that will excite any angler! a favorite rod & reel, feel free to bring it! All fish are cleaned and bagged! for a great day on the water ! Caught & Released (1) 44-1/2" Red Fish. While on the 3rd. Annual Hot Rod Air Corporate Fishing Trip. 28" 7 LB Speckled Trout ! 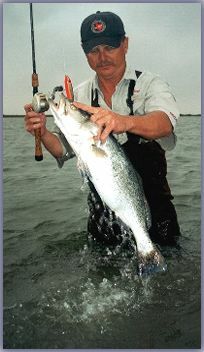 You Are The 148105 Angler That Has Visited This Web Site.